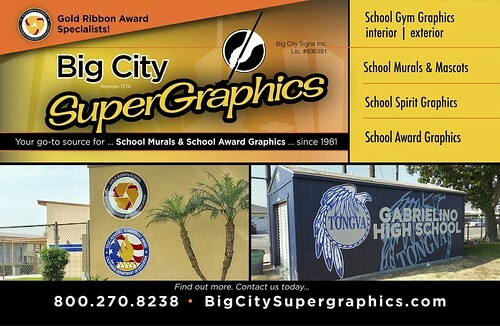 2018 – make it the year to get your school’s mascot, award, or mural done & done right! 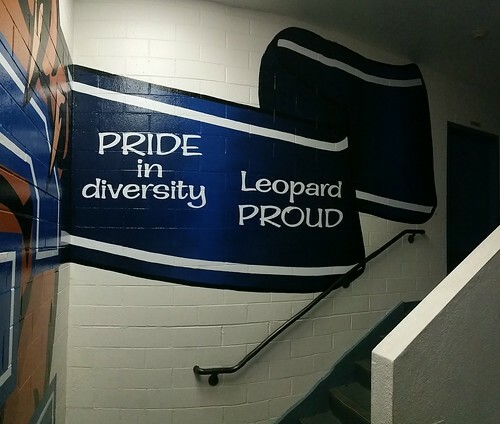 Recent hand-painted school mural project at Los Cerritos Middle School in Thousand Oaks, CA (near Los Angeles). It’s impact is undeniable! First, detail photos are shown below. It was so hard to show the whole thing in one photo that I merged the detail photos into one in Photoshop, in the last photo. 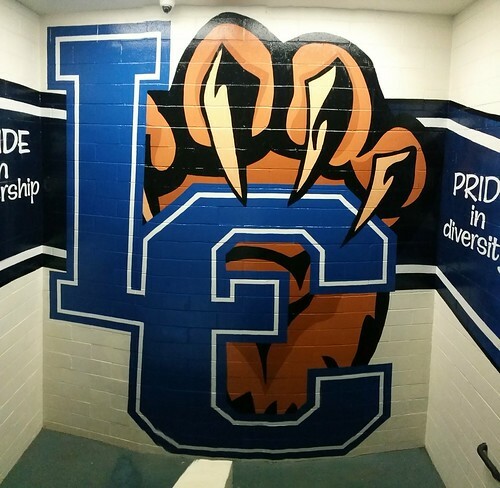 Hand painted graphics are very suitable for rough surfaces. 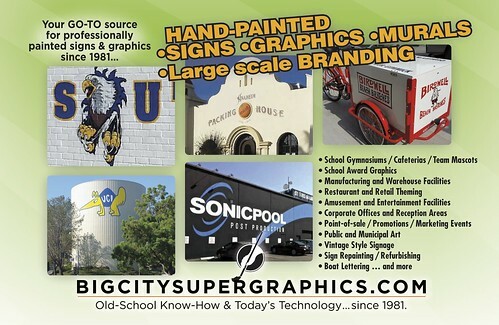 That’s one reason why Big City was called on to provide this approx. 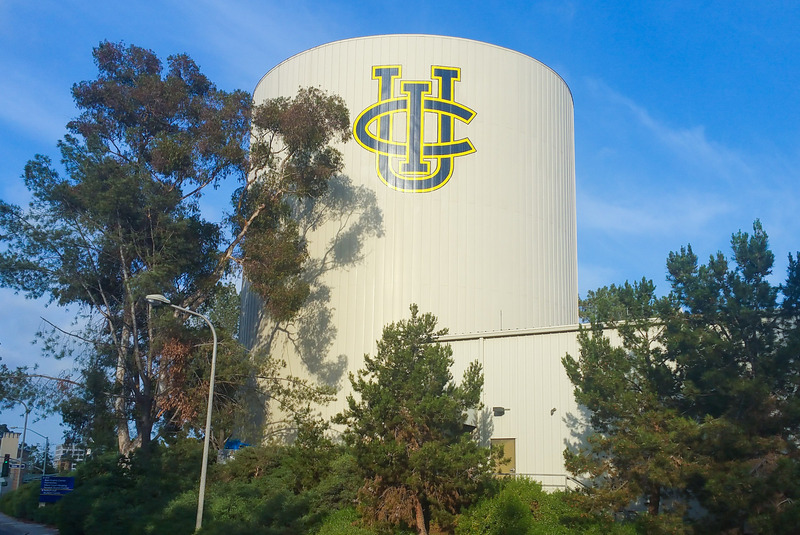 28′ x 31′ UCI logo graphic on the northwest side of this 100′ high central plant water tank at UC Irvine in Orange County, CA. 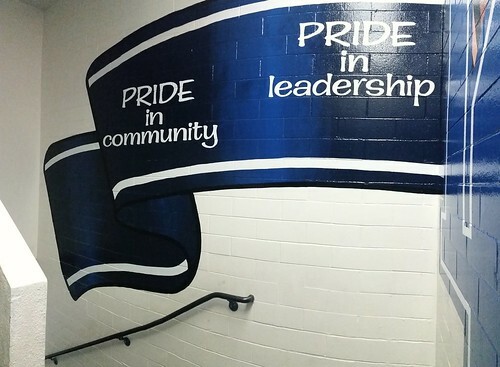 After prepping the surface with steel wool etching and a TSP wash, the paper pattern to transfer the full size design to the surface was applied and painting began. Aaaaaannnnd… we’re done! 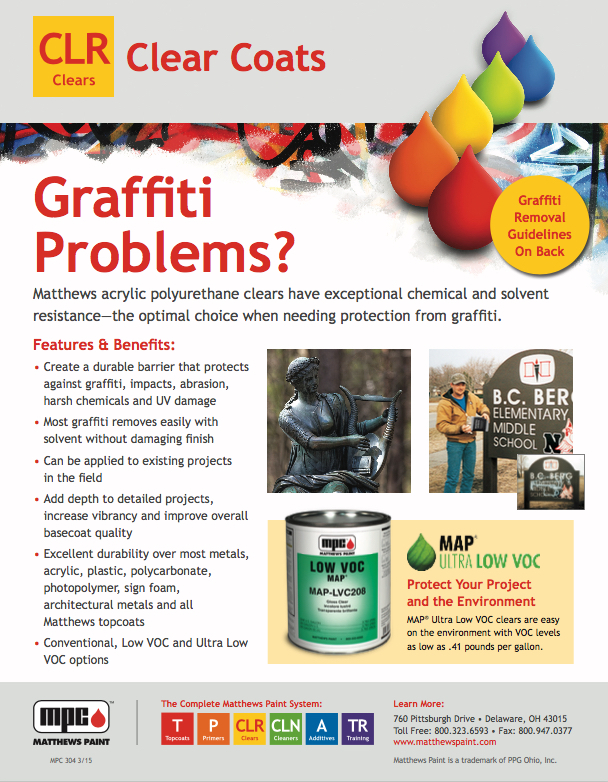 Another happy client.